That's right! 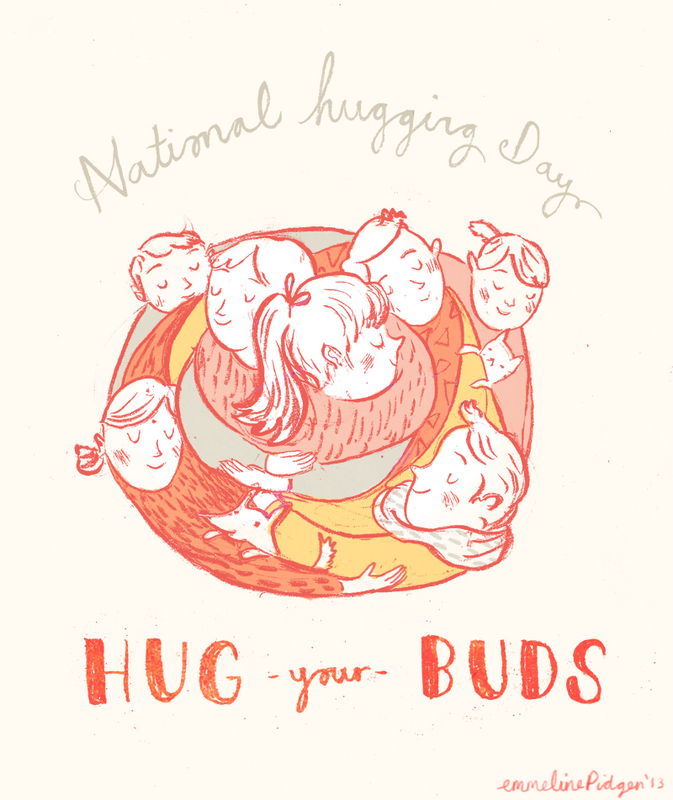 It's National Hugging Day! So grab all those people who make life just that little bit better, and give 'em a squeeze. Emmeline Pidgen is an illustrator creating books (picture books, chapter books, covers! ), comics, advertising and editorial illustration from a cosy studio in North West England. 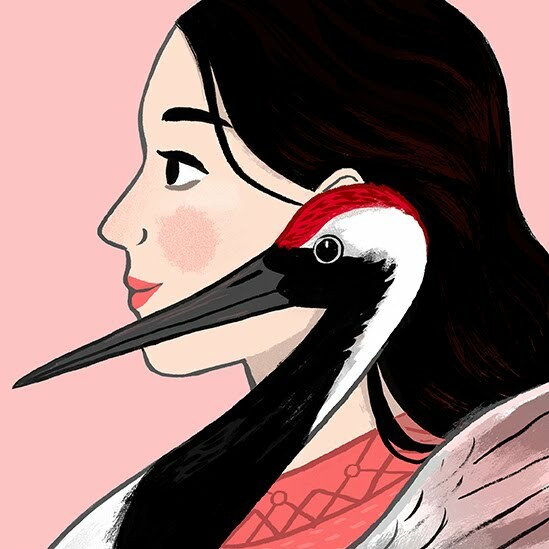 I'm here writing about illustration, inspiration, design events, art how-to's, creative industry tips and all things illustrated! 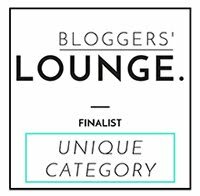 IPSE's National Freelancer of the Year 2016, Unique Blogger of the Year Finalist and Best Arts & Culture Blog. 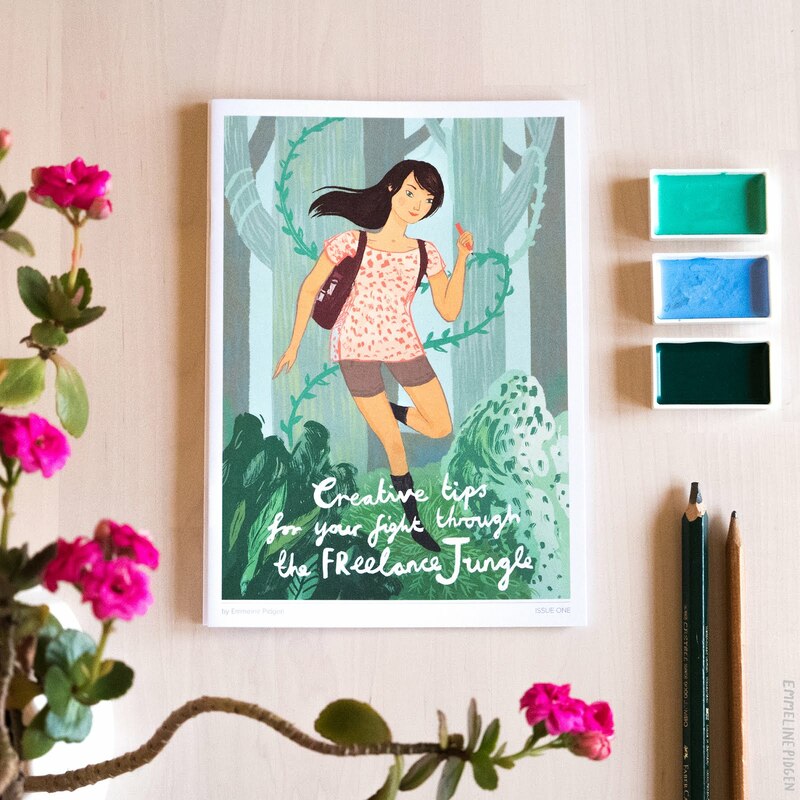 'Guide To Creative Freelancing' by Emmeline Pidgen. Buy on Etsy! 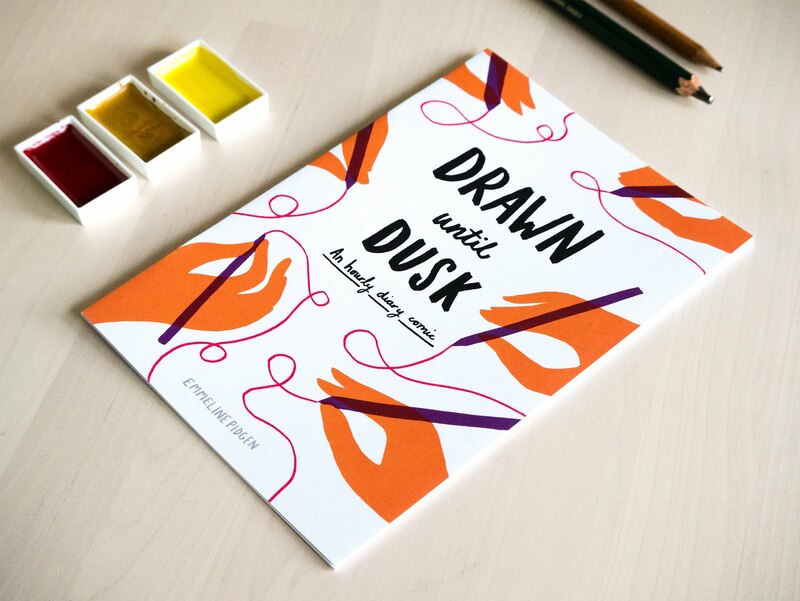 'Drawn Unitl Dusk' diary comic by Emmeline Pidgen. Buy on Etsy! Great Exposure! The moral dilemma of working for free. 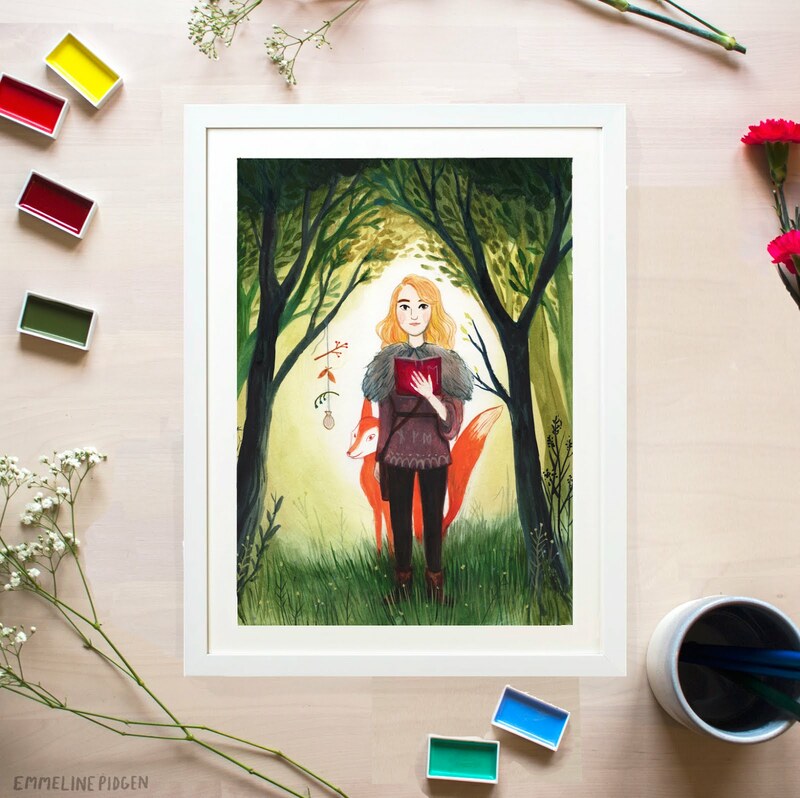 Illustrating Peter Pan - Secret Illustration Process & Behind-The-Scenes Peek! This blog occasionally shows gifted items. All products are marked as gifted (c/o); posts are unpaid; and I only work with brands I trust and use myself in my work/life. Any questions, give me a shout or an email! Cookies and data are collected to provide blog statistics and usage notes. Kind of obvious, but emails / other info is collected if you sign up to my mailing list or enter a giveaway (where applicable), but I don't sell your data! Please get in touch if you have any questions or would prefer your data be deleted. All illustrations and original photos copyright of Emmeline Pidgen. Please get in touch if you would like to feature any illustrations (credit and permission is required). Thanks! Hello! On my blog I post a lot of reviews and features, so it's worth being completely transparent about any affiliate links or ads. Sometimes in the life of a freelancer a sponsored click can go a long way, BUT I'll always make sure affiliate links are easily identifiable with an asterisk and/or grey colour, and any adverts will be clearly marked. Often companies collaborate for reviews and features, but they understand that I give an honest opinion (good or bad!). I only work with the companies I adore and will let you know if I have been sent the item in exchange for a feature. I hope that helps!